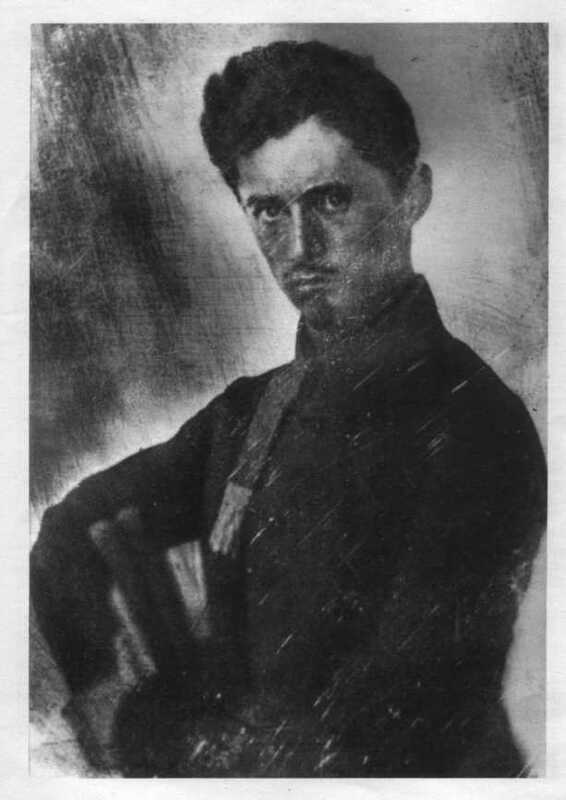 With a cockade sewn by Júlia Szendrey pinned to his chest, a volume of poems in his pocket, and the still thrilling experience of the Revolution in his head, these are the words with which the poet Sándor Petőfi welcomed the fifteenth of March in his journal. Salutations to you, Hungarian freedom, on this the day you are born! And today also, one hundred and sixty-eight years later, it is with unfettered joy, the optimism of early spring, high hopes and an elevated spirit that across the Carpathian Basin we celebrate — from Beregszász to Szabadka, from Rimaszombat to Kézdivásárhely: every Hungarian with one heart, one soul and one will. Just as then in the decisive battles of the Freedom Fight, now also Hungarian hearts are cheered by the fact that we have with us a Polish legion. I welcome the spirited successors of General Bem: we welcome the sons of the Polish nation. As always throughout our shared thousand-year history, now, too, we are standing by you in the battle you are fighting for your country’s freedom and independence. We are with you, and we send this message to Brussels: more respect to the Polish people, more respect to Poland! Greetings to you. It is a sign of the shared fate of Poland and Hungary that another glorious revolution of ours — that of 1956 — was born between the Bem Statue and Kossuth tér in Budapest. It rose up with the unstoppable force of our glorious ancestors, and by the evening it had dragged the Soviet generalissimo out of his boots. By nature, Hungarians stand up for what is right when the need arises. What is more, they fight for it if needs be, but do not seek out trouble for its own sake. They know that they can often achieve more through patience than through sabre-rattling. This is why those like us are rarely given to revolutions. We have only gone down that path twice in one hundred and seventy years. When we did follow that path, we had reason to do so: we felt that our lungs would burst if we could not breathe in freedom. We threw ourselves into it, and once we had started a revolution, we did so in style. Modern European history has preserved both Hungarian revolutions among the glorious memories of the world: two blazing stars, two national uprisings bursting forth in 1848 and 1956 from Hungarian aspirations and Hungarian interests. Glory to the heroes, honour to the brave. Chroniclers have also recorded the revolution of 1918-19, but the memories of that period are not preserved on the pages of glory; indeed, not only are those memories written on different pages, but they appear in a different volume altogether. The 1918-19 revolution can be found in the volume devoted to Bolshevik anti-Hungarian subversions launched in the service of foreign interests and foreign ambitions; it features under the heading “appalling examples of intellectual and political degeneracy”. Yes, we Hungarians have two revolutionary traditions: one leads from 1848, through 1956 and the fall of communism, all the way to the Fundamental Law and the current constitutional order; the bloodline of the other tradition leads from Jacobin European ancestors, through 1919, to communism after World War II and the Soviet era in Hungary. Life in Hungary today is a creation of the spiritual heirs and offspring of the ‘48 and ‘56 revolutions. Today, as then, the heartbeat of this revolutionary tradition moves and guides the nation’s political, economic and spiritual life: equality before the law, responsible government, a national bank, the sharing of burdens, respect for human dignity and the unification of the nation. Today, as then, the ideals of ‘48 and ‘56 are the pulse driving the life force of the nation, and the intellectual and spiritual blood flow of the Hungarian people. Let us give thanks that this may be so, let us give thanks that finally the Lord of History has led us onto this path. Soli Deo gloria! Not even the uplifting mood of a celebration day can let us forget that the tradition of 1919, too, is still with us — though fortunately its pulse is just a faint flicker. Yet at times it can make quite a noise. But without a host animal, its days are numbered. It is in need of another delivery of aid from abroad in the form of a major intellectual and political infusion; unless it receives this, then after its leaves and branches have withered, its roots will also dry up in the Hungarian motherland’s soil, which is hostile to internationalism. And this is all well and good. A decent person who raises his children and works hard to build the course of his life does not usually end up as a revolutionary. The right-thinking person who stands on his own two feet and has control over his future knows that upheavals and the sudden upending of the ordinary course of life rarely ends well. The person of goodwill who seeks a life of serene and peaceful progress knows that trying to take two steps at once leads to your tripping over your own legs, and instead of moving forward, you will land flat on your face. And yet these right-thinking people of goodwill, these upstanding citizens of Pest instantly rallied to the call of our revolutions, marching at the front, right behind the university students. They formed the backbone of the revolutions and freedom fights, and they were to pay with their own blood for the honour of the Hungarian people. Every revolution is like the people who make it. On the committee which oversaw order during the 15 March revolution, in the shadow of the colossal figures of Petőfi and Vasvári, we find the furrier Máté Gyurkovics, and the button-maker György Molnár. Our revolutions were led by respectable citizens, military officers, lawyers, writers, doctors, engineers, honest tradespeople, farmers and workers with a sense of national duty: Hungarians who embodied the nation’s best aspects, our homeland’s very best. Hungarian revolutionaries are not warriors for hare-brained ideologies, deranged utopias or demented, unsolicited plans for world happiness; in Pest you find no traces of the illusory visions of quack philosophers or the raging resentment of failed intellectuals. The revolutionaries of 1848 did not want to salvage stones from the ruins of absolutist oppression in order to build a temple to yet another tyranny; therefore the Hungarian revolution’s songs were not written in honour of the steel blade of the guillotine or the rope of the gallows. Our songs are not sung by lynch mobs or execution-thirsty crowds; the Pest revolution is not a hymn to chaos, revenge, or butchery. The 1848 Revolution is a solemn and dignified moment in our history, when the wounds of the glorious Hungarian nation opened once again. Springing from constitutional roots, it demanded the granting and return of the rights seized from and denied to the nation. It is exhilarating, but sober; ecstatic but practical; glorious, but temperate. It is Hungarian to the core. Three weeks before his death in battle, in his last letter to János Arany, Sándor Petőfi asked the following question: “So what are you going to do?” When we, his modern descendants, read this, it is as if he is asking us the same question. So what are you going to do? How will you make use of your inheritance? Are the Hungarian people still worthy of their ancestors’ reputation? Do you know the law of the Hungarians of old — that whatever you do should not only be measured by its utility, but also by universal standards? This is because your deeds must pass the test not only here, but also in eternity. We have our inheritance, the Hungarian people still exist, Buda still stands, we are who we were, and we shall be who we are. Our reputation travels far and wide; clever people and intelligent peoples acknowledge the Hungarians. We adhere to the ancient law, and also measure our deeds by universal standards. We teach our children that their horizon should be eternity. Whether we shall succeed, whether finally we see the building of a homeland which is free, independent, worthy and respected the world over — one which was raised high by our forebears from 1848, and for which they sacrificed their lives — we cannot yet know. We do know, however, that the current European constellation is an unstable one, and so we have some testing times ahead. The times in which we live press us with this question, which is like a hussar’s sabre held to our chest: “Shall we live in slavery or in freedom?” The destiny of the Hungarians has become intertwined with that of Europe’s nations and has grown to be so much a part of the union that today not a single people — including the Hungarian people — can be free if Europe is not free. And today Europe is as fragile, weak and sickly as “a flower being eaten away by a hidden worm.” Today, 168 years after the great Wars of Independence of the European peoples, Europe, our common home is not free! Europe is not free. Because freedom begins with speaking the truth. Today in Europe it is forbidden to speak the truth. Even if it is made of silk, a muzzle is a muzzle. It is forbidden to say that those arriving are not refugees, but that Europe is threatened by migration. It is forbidden to say that tens of millions are ready to set out in our direction. It is forbidden to say that immigration brings crime and terror to our countries. It is forbidden to point out that the masses arriving from other civilizations endanger our way of life, our culture, our customs and our Christian traditions. It is forbidden to point out that those who arrived earlier have have already built up their own new, separate world for themselves, with its own laws and ideals, which is forcing apart the thousand-year-old structure of Europe. It is forbidden to point out that this is not an accidental and unintentional chain of consequences, but a preplanned and orchestrated operation; a mass of people directed towards us. It is forbidden to say that in Brussels they are concocting schemes to transport foreigners here as quickly as possible and to settle them here among us. It is forbidden to point out that the purpose of settling people here is to reshape the religious and cultural landscape of Europe, and to reengineer its ethnic foundations. — thereby eliminating the last barrier to internationalism: the nation-states. It is forbidden to say that Brussels is now stealthily devouring more and more slices of our national sovereignty, and that in Brussels many are now making a plan for a United States of Europe — for which no one has ever given authorisation. Today’s enemies of freedom are cut from a different cloth than the royal and imperial rulers of old, or those who ran the Soviet system; they use a different set of tools to force us into submission. Today they do not imprison us, they do not transport us to concentration camps, and they do not send in tanks to occupy countries loyal to freedom. Today the international media’s artillery bombardments, denunciations, threats and blackmail are enough — or rather, have been enough so far. The peoples of Europe are slowly awakening, they are regrouping, and will soon regain ground. Europe’s beams that rest on the suppression of truth are creaking and cracking. The peoples of Europe may have finally understood that their future is at stake: Now not only are their prosperity, cosy lives, jobs at stake, but our very security and the peaceful order of our lives are menaced as well. At last, the peoples of Europe, who have been slumbering in abundance and prosperity, have understood that the principles of life that Europe has been built on are in mortal danger. Europe is the community of Christian, free, and independent nations; equality of men and women; fair competition and solidarity; pride and humility; justice and mercy. This time the danger is not attacking us the way wars and natural disasters do, suddenly pulling the rug from under our feet. Mass migration is a slow stream of water persistently eroding the shores. It is masquerading as a humanitarian cause, but its true nature is the occupation of territory. And what is gaining territory for them is losing territory for us. Flocks of obsessed human rights defenders feel the overwhelming urge to reprimand us and to make allegations against us. Allegedly we are hostile xenophobes, but the truth is that the history of our nation is also one of inclusion. and the history of intertwining of cultures. Those who have sought to come here as new family members, as allies, or as displaced persons fearing for their lives have been let in to make a new home for themselves. But those who have come here with the intention of changing our country, shaping our nation in their own image, those who have come with violence and against our will, — have always been met with resistance. At first, they talk about only a few hundred, a thousand or two thousand relocated people. But not a single responsible European leader would dare to swear under oath that this couple of thousand will not eventually increase to tens or hundreds of thousands. If we want to halt this mass migration, first we must curb Brussels. The main danger to Europe’s future does not come from those who want to come here, but from Brussels’ fanatical internationalism. We should not allow Brussels to place itself above the law. We shall not allow it to force upon us the bitter fruit of its cosmopolitan immigration policy. We shall not import to Hungary crime, terrorism, homophobia and synagogue-burning anti-Semitism. There shall be no urban districts beyond the reach of the law, there shall be no mass disorder, No immigrant riots here, and there shall be no gangs hunting down our women and daughters. We shall not allow others to tell us whom we can let into our home and country, whom we will live alongside, and with whom we will share our country. We know how these things go. First we allow them to tell us whom we must take in, then they force us to serve foreigners in our own country. In the end we find ourselves being told to pack up and leave our own land. Therefore we reject the forced resettlement scheme, and we shall tolerate neither blackmail, nor threats. The time has come to ring the warning bell. The time has come for opposition and resistance. The time has come to gather allies to us. The time has come to raise the flag of proud nations. The time has come to prevent the destruction of Europe, and to save the future of Europe. To this end, regardless of party affiliation, we call on every citizen of Hungary to unite, and we call on every European nation to unite. The leaders and citizens of Europe must no longer live in two separate worlds. We must restore the unity of Europe. We the peoples of Europe cannot be free individually if we are not free together. If we unite our forces, we shall succeed; if we pull in different directions, we shall fail. Together we are strength, disunited we are weakness. Either together, or not at all — today this is the law. This entry was posted in Civil Liberties, Counterjihad, Culture Wars, Enrichment, Europe, History, Immigration, News, PC/MC, Politics, Religion by Baron Bodissey. Bookmark the permalink. May I will move there when I retire. The Hungarian president sounds like my kind of public official, as he tells the truth. At least I know that if I go there to live out my declining years I will find something to do that is honourable and why not go Hungary? 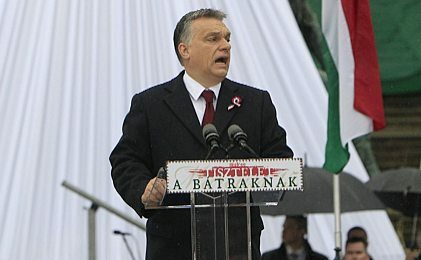 “Orbán had mentioned the I and M words (Islam and Muslims), to elucidate what he did. . . ” He would more hate and vilification upon himself from the rest “sublime” Europe. Are Europeans so utterly stupid not to understand axioms and the obvious? Traitors are creating a hell on Earth called Europe. They are the father of Lucifer, The Liar. I think it is good that he didn’t mention I and M. It is immigrants of different races than Hungarian that will cause problems regardless of religion. Africans and others have no place in Europe. Diversity + Proximity = War. Africa has largely done nothing since the colonial yoke was lifted in the 50s and 60s. Wasteful, do-gooder foreign aid has exacerbated the problem because it is pocketed by the elite. The food aid that does get through destroys the local agricultural industry and creates an atmosphere of dependence. Bonus fun fact: much of the money raised by Live Aid was siphoned off for arms purchases by the Ethiopian communist junta in power at the time. The Chinese have spread across the continent and are being chastised for efforts that somewhat resemble those of the European colonial powers. However, the Han people do not suffer the sense of self-hatred the Europeans do. You can always tell which projects are important to the locals when they bring in Chinese construction companies and labor. That is a surefire sign someone wants a project done sooner rather than later. I doubly agree. Some people have a blinkered view that Islam is the only evil worth thinking about. Do you want to import adherents of the chicken-strangling, blood-worshiping adherents of Santeria voodoo into the country? Where Albanian Christians and Isreali Jews have been imported, there is a problem with Albanian and Israeli organized crime gangs. Ditto for Syrians and Lebanese. It simply doesn’t pay to allow massive migration into your country. Islam is the most corrosive religion and political system on earth. But, to focus exclusively on Islam for exclusion is like the Center for Disease Control putting all its resources on screening for Ebola, and forgetting about the new strains of TB, and the multiple exotic, unfamiliar diseases brought in by third-world visitors and immigrant. As a sidenote, the Polish general Jozef Bem, who Orban mentions, fled to the Ottoman Empire – where, perhaps out of convenience, he converted to the Religion of Peace… nonetheless, he was a great hero of the 19th century. Yes, a great speech which, funnily enough, wasn’t reported by Polish or British mainstream media – except to say that Orban attacked Brussels yet again. Which led me to think “maybe he should tone down his rhetoric a bit”. So maybe then this is another example of the full context shedding a completely different light on things. In this case, the full context reveals a historic speech – can one ever imagine such a speech from the lips of Merkel or Cameron? (Obama, to be fair, comes across as a good speaker, when his teleprompter is handy… but in his speeches, he mentions things like the Renaissance happening because of Islam – which are nothing more than cheap propaganda and falsification (Islamification?) of history). Have you ever heard Obama discuss ideas, other than the responsibility of the government and country to give more money and services to more people? Orban actually discussed real history and real ideas, and ended with a call for action. You learned something from the speech, learned a historical perspective. You will simply not find his like in Western Europe or the American continent. I am not sure. He does not mention Islam specifically as if he would be afraid to use the word. Avoiding certain key words because of PC is not what I expect from a great leader. Moslem immigration is the big problem and not immigration. Also immigration is a big problem per se. Subsaharan Africans that I saw in France in 2005 depend for generations on the public dole. They are kings in Africa, just because they live in Paris. They go there, get 20 wives, produce 100 children, all at the courtesy of the French taxpayers. Now, this is the evolutionary jackpot they sometimes speak of. Why should these guys work? They have everything already. France paying for its own oblivion. Exactly. Immigration in general is a problem. Islam is just the most dangerous part, but that doesn’t mean the rest is not dangerous. Bringing in African Nigerians (50% Christian) and other Saharan and sub-Saharan African is bringing in the same low-skill, low ability, nature-worshiping, human-sacrificing stock that describes the Muslim refugees. Bringing in Bulgarians brings in Gypsies, whose main contribution to civilization is pick-pocketing. Bringing in Albanian Christians or even Israeli Jews has brought in organized crime gangs. Countries should put their own interests ahead of all others. You need a small influx of outsiders to maintain a healthy diversity, and also to keep your defenses active. But, massive immigration of any sort will overwhelm the natural defenses of a society, and will obliterate any unique features of their culture. Wow what a speech. How beautifully written and said. No holes barred, just the TRUTH. I would think and I certainly hope that most citizens of Europe, and the world, would agree that we are heading for distruction if we continue down the road we are on. The problem however is not the majority of people on the globe, but the Leaders in power of all Nations. Whether they are oblivious to the agenda that has been mapped out for us or they are complicit, how can the individual change the direction that we are on? I would love to have a PM or President who beleives this way. But more importanly one who isn’t afraid to shout it from the roof tops. What a guy, Hungarians should be proud to have a leader like him. Alas, very few leaders with integrity like him in the today Europe. All the rest are part of the plan to destroy national homogeneity of Europe. Europeans must raise or they are doomed. People like George Soros want a Europe with no borders, and no nation states. He is a man how tell the truth. And his made he self a lot of people very unhappy as it his told it true.